There's still time to grab a speaking spot for the 2012 Canadian Space Summit, but only if you apply online, using this link and do so before September 14th. Speaker (and attendee) slots are filling up fast for this, the 14th annual conference of the Canadian Space Society, which will be held at the Centre for Planetary Science and Exploration at Western University in London ON, from November 14th - 16th. The theme this year is "Bridging Communities: Unifying the Canadian Space Sector" and confirmed keynote session speakers so far include Dr. John "Jack" Mustard from Brown University (the deputy principal investigator of the Compact Reconnaissance Imaging Spectrometer for Mars (CRISM), a visible-infrared spectrometer aboard the Mars Reconnaissance Orbiter), Perry Edmundson (the product marketing manager for Canadian space systems company COM DEV International), Dr. Bonnie Schmidt, the founder and president of Let’s Talk Science (one of Canada's largest charitable organizations dedicated to improving science literacy) and Dr. David Beaty, the chief scientist for the Mars exploration directorate at the Jet Propulsion Laboratory in Pasadena, California. 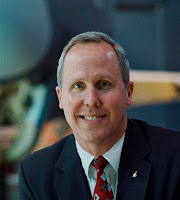 The keynote speaker for the Thursday night banquet, a traditional feature of the summit, is Dr. Peter Smith, the principal investigator for the 2008 Mars Phoenix Mission. 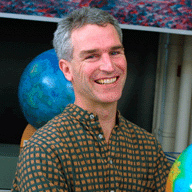 Smith currently holds the Thomas R. Brown Distinguished Chair of Integrated Science at the University of Arizona (UofA) Lunar and Planetary Laboratory. The summit is designed to provide a multifaceted forum for the Canadian and international community to present recent scientific advances, exchange information on new technologies, develop new ideas and to discuss opportunities for international collaboration. Presentation formats include a mix of plenary sessions, invited talks, poster sessions, and panel discussions to provide a venue for interdisciplinary networking and promote further connections between the various communities within the Canadian space sector. For more information, please check out the summit website and facebook event pages. A recent editorial in the old media Macleans Magazine provides strong indications that the magazine editors don't want to send men to Mars for the foreseeable future because of the difficulties involved. 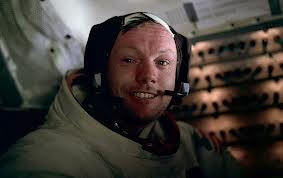 Neil Armstrong (1930 - 2012), the first man on the Moon. He went because it was hard. Instead, the editors would prefer to continue writing badly sourced and mostly unattributed commentary on the topic for the people who remain on Earth. Evidently, this is easier. At least, that's the impression given by the August 23rd, 2012 editorial "Why we don’t need to send a man to Mars—at least, not yet" which makes a number of unsupported and likely erroneous statements relating to manned exploration in general and Mars exploration in particular. Science is one of the great results of exploring the cosmos, but it’s not the only reason we go to space. We send humans as an expression of national will and the superiority of our form of government. But the editorial then goes on to claim that "any space specialist will admit, as Tom Jones does, that the added marginal scientific value of a manned mission to Mars will probably, on the whole, be zero to negative for the foreseeable future." Did astronaut Jones actually say this? There are certainly no direct quotes; only the bald statement that he admitted to this, when asked. But while Jones is certainly an engaging and knowledgeable public speaker, his personal website, which promotes his book "Planetology: Unlocking the Secrets of the Solar System" also focuses on topics related to how the manned space program is generally a good thing. So we have a dichotomy here. The Macleans article has either not provided important context related to the quote or has ignored this context in its quest to support the larger view that we don't need to send men to Mars. Even the comment about how "any space specialist" would be in agreement with the overall point of the statement (that manned Mars exploration would provide little scientific value) is unsupported except for the incomplete Tom Jones attribution. In fact, its quite likely that we could find dozens or even hundreds of "space specialists" at the recently concluded 15th Annual Mars Society National Conference who'd like nothing better than to see people on Mars ASAP and understand the scientific value of such an endeavor. Speakers at this years conference included author, society president and outspoken manned Mars exploration advocate Robert Zubrin, astronomy professor Jim Bell, ex NASA Astronaut Pete Worden, Dr. John Johnson from the NASA Exo-Planet Science Institute and quite a few others. The Macleans article does mention the Mars Society, but not its advocacy for manned Mars missions and settlements (as outlined on the society website and in the above panel discussion). The society receives a mention only within the context of the expected round trip time for a manned mission, which would need to be "self-sufficient in ways that the Apollo astronauts weren’t" and is therefore hard. It's also likely that there are hundreds (or maybe even thousands) of others who didn't make it to the recent Mars Society conference but are active in the area, attend other conferences and think that sending humans to Mars ASAP is a good idea. The Macleans editorial ignores them all. 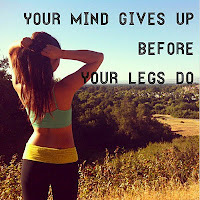 A motivational poster, evidently required. There's more (including a complete absence of any context or justification for the statement that "we may well learn more about Mars from Curiosity than all the Apollo missions combined told us about Earth’s moon.") but the key thing here to remember is that Macleans couldn't even find someone willing to put a byline on the finished editorial. Essentially no one would claim responsibility for it. Any publication claiming to be "Canada's only national weekly current affairs magazine" should be able to do better. Chris Hadfield isn't the only Canadian astronaut expected to blast off on one last adventure this fall. Former astronaut and current Liberal MP for Westmount—Ville-Marie Marc Garneau (who also acts as the Liberal Party house leader) is expected to throw his hat into the ring for his party's leadership just as soon as the currently acknowledged front runner in the race (the youthful and so far undeclared Liberal MP Justin Trudeau) decides if wants the job now or after a few more years of political seasoning. Garneau may not have that option. 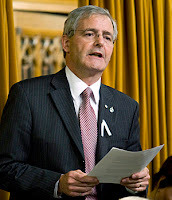 The 63 year old retired military officer, electrical engineer, ninth Chancellor of Carleton University and former head of the Canadian Space Agency (CSA) is likely at the tail end of a stubborn and fitful political career, complete with poor timing (Garneau first ran for office during the sponsorship scandal) false starts and at least one attempted political retirement. After being considered in 2011, Garneau was passed over in favor of outgoing interim leader Bob Rae. But as per the August 15th, 2012 Toronto Star article "Marc Garneau ready to enter Liberal leadership race," he's evidently still ready to jump back into the political fray, just as soon as he can gather up a “dream team” of political operatives to work with him. Of course, this suggests that volunteers aren't yet rushing his doorstep to work on the campaign. Still, we wish him luck, if only because (as per my July 4th, 2011 post "Ground Control to Marc Garneau") he once advocated a doubling of the CSA budget and an all-Canadian robotic mission to Mars to "stimulate the country's space industry during uncertain times for North American space programs." Now if only he'd fill in a few of the details. On the heels of recent budget cuts, which have shrunk the Canadian Space Agency (CSA) public outreach capabilities and the well known restrictions on Federal government departments using social media, it seems odd to find someone within the beleaguered agency intent on discouraging enterprising third parties from publicizing Canadian space accomplishments and capabilities. 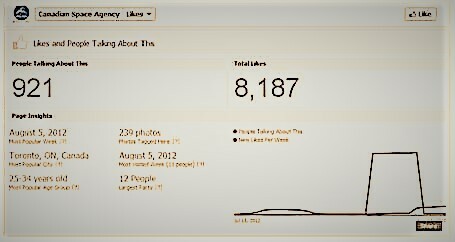 Screenshot from the official CSA facebook page at http://www.facebook.com/CanadianSpaceAgency showing the recent jump in fans in early August 2012. Screenshot c/o Facebook. Unfortunately, this does seem to be what we've found. Someone within the CSA, acting on behalf of the CSA, has filed a formal complaint with social networking site FaceBook, over an independent CSA fan page in order to protect CSA "copyrighted logos, identifiers and intellectual property." This complaint has led to the shutting down of the fan site even though the specifics of any CSA "intellectual property" referenced in the complaint have not been publicly identified. Another CSA fan page. Graphic c/o CSA Fans Group. Even better, according to shuttered fan site co-administrator Catherine Laplace-Builhe in her new facebook page, titled "petition online to reinstate the fan page Canadian Space Agency" the CSA hasn't just simply shut down her advocacy site. 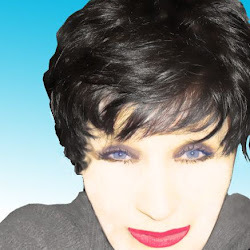 Laplace-Builhe also feels that the CSA has "stolen" the 7770 supporting fans from her site and added those fans to the far smaller listing of 600 fans on the formal CSA administered Facebook page. A second Facebook Canadian Space Agency fan page, covering much the same topics, also containing CSA logos and links to various CSA press releases but with only 300 or so Facebook fans, so far remains operational. When we (Facebook) receive a a claim of copyright infringement from a third party alleging that content on the site infringes their copyright, we may need to immediately remove or disable access to that material on Facebook without notice to you (the site administrator). We are not in a position to adjudicate disputes between parties. According to Simard, the migration of fans to the CSA administered Facebook page was also not the CSA's responsibility. "The Facebook Pages Terms clearly states that “all migrations are at (their) discretion” states Simard. According to the Facebook page terms "only authorized representatives may administer a Page for a brand, entity (place or organization), or public figure." However, the Facebook Page Terms also indicates that "any user may create a Page to express support for or interest in a brand, entity (place or organization), or public figure, provided that it is not likely to be confused with an official Page or violate someone's rights." It seems hard to believe that the fan page could be confused with the official CSA Facebook page, especially given the obvious disparities between the amount of fans on the two sites. Laplace-Builhe, who lives in Paris, works at a travel agency with strong connections to the growing space tourism industry and administers a variety of Facebook and other sites focusing on European, Japanese and Canadian space science activities (including the online Cat Laplace Builhe Daily), has had previous problems with Facebook and its ill defined copywrite rules. As outlined in my August 23rd, 2010 "this Week in Space for Canada" post, her Facebook CSA fan site was also temporarily disabled in 2010 as a result of a complaint from photographer Anthony Ayiomamitis relating to improper attribution of the June 20th, 2008 NASA Astronomy Picture of the Day. But she's also a member in good standing of the growing online media, which is comprised of sites like Spaceref.com (and the affiliated Spaceref.ca site) the Space Politics blog, the Space Review website, Clark Lindsay's HobbySpace blog (which recently morphed into the subscription service NewSpace Watch), the Space.com service and quite a few others (including the site you are reading now) which increasingly define, disseminate and drive the media coverage in this area. Right now, there is no indication of whether the CSA decision to shut down the fan site was taken at the senior level or at a junior level. But its summer and most senior CSA people are on vacation. Once those senior heads get back to the office, they'll likely realize that the wisest move for the CSA right now might just be to stand back and allow new media experts like Laplace-Builhe to carry on with what they know best and continue promoting Canadian space activities. There are easily 180 entrepreneurship and business plan type competition events worldwide (at least, according to bizplancompetitions.com) but only three are listed as space sector related and of these three none are Canadian based. The $100,000 first prize for the 2012 BPC. 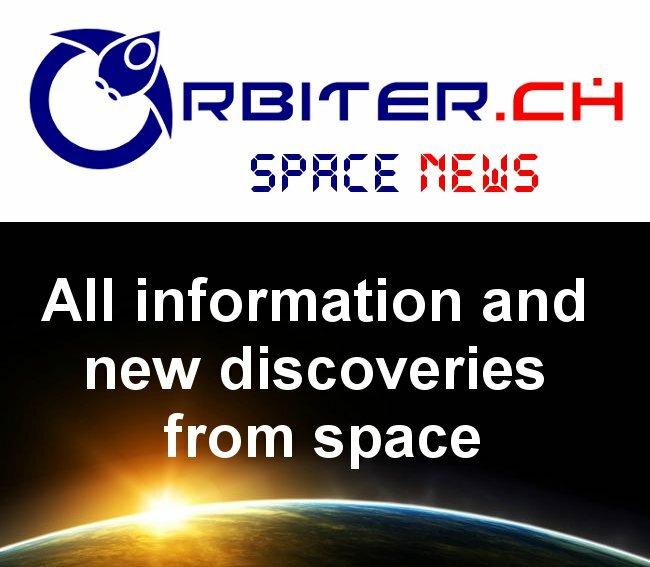 The most notable is the NewSpace Business Plan Competition (BPC) hosted by US-based Space Frontier Foundation (SFF). Created to “foster the development of commercial space companies centered around critical space technologies” according to the SFF website, this competition is a good model to set up for Canada. The SFF launched the BPC in 2006, when the first winner amongst five finalists (two with Canadian members) was awarded $2,000. Since then, SFF has hosted four more BPC’s, each getting bigger and better. Courtesy of the Heinlein Prize Trust, the 2009 BPC prize grew to $5,000, and an additional contribution from NASA took the prize level to $32,500 for 2011. This year the award increased by about 340%, to a whopping $110,000 total cash prize, thanks to a grant from NASA's Emerging Commercial Space Office. The increasing prize money, coupled with the rapid growth of the private space sector, have spiked the number and quality of applicants to a total of 55 this year (vs. 25 last year). Prize money aside, the success of the BPC also contributes to SFF’s planning process, its fine-tuned model for the competition and more importantly the time and dedication of the team and its supporters. The 2012 BPC was announced at the beginning of this year and Canadians learned about it first at the 9th Annual Astronomy and Space Exploration Society (ASX) Expanding Canada's Frontiers symposium in Toronto on January 20th, during a presentation by BPC project manager Tom Olson. Executive summary applications were accepted until May 25th and on June 15th, a committee of 11 selected and announced the 10 finalists. The selected finalists then had to submit a full written business plan by July 6th, and go through a two day boot camp to prepare for a final six minute pitch (plus a further six minute Q & A with the judges) on July 27th at the 2012 NewSpace Conference in Santa Clara, California. 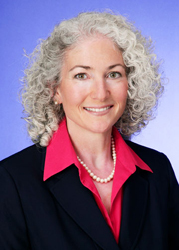 A distinguished panel of five judges with expertise in investment and business development (including Canada’s own Eva-Jane Lark of BMO Nesbitt Burns) carefully selected the winners who were announced at the Awards Gala on July 28th. Among the ten finalists (whose impressive offerings ranged from new propellant technology to bio-engineered products and satellite-related hardware/ software) only one had a Canadian team member: Joel Spark of NanoSatisfi LLC. But despite a great presentation by NanoSatisfi CEO Peter Platzer, the cool ArduSat product (an open-source cubesat) and recent headlines about their overwhelming success on Kickstarter, this partially-Canadian owned company (profiled, but not identified as such in the June 21st, 2012 CBC News community blog article "What would you send into space if you had the chance?") was not a winner this year. Instead, the $100K prize went to Space Ground Amalgam, LLC, the $10K second prize went to Digital Solid State Propulsion, LLC, and an honorable mention went to Terapio Corporation. According to the business plans, these three companies will use the developed plans and new connections to seek an additional $3.5 - $10 million USD's to fund their businesses. “The prize money [..] is actually only a small part of what the competition offers”, said Spark. He felt that NanoSatisfi got tremendous exposure from the contest “After Peter gave his pitch, within seconds of sitting down, there was an investor tapping him on the shoulder,” said Spark. 2012 NanoSatisfi team members Reka Kovacs, Joel Spark, Peter Platzer and Jeroen Cappaert. Also of benefit was the two day Boot Camp, where finalists not only practiced their pitch with ten outstanding coaches, but also received valuable feedback from industry experts attending the NewSpace Conference (which attracted a record of over 500 attendees this year). Tom Olson attributes "the huge success of this year's BPC to a combination of many factors, including but not limited to: prizes, vision and scope, outreach to multiple sectors (including nano- and biotech), and the dedicated hard working people." For those who'd like to learn more, videos of the conference proceedings are available at Space Vidcast. Although there are many business plan competitions in Canada (for example, the Queen’s Entrepreneurs’ Competition, Enterprize Canada, IBK Capital - Ivey, BMO Apex, and TIE Quest), and at least two space-related competitions focused on technical designs (the Canadian Satellite Design Challenge (CSDC) and the currently on hiatus U of T Space Design Contest (UTSDC)), there is currently no Canadian business plan competition focused on space activities. Having one, especially with a growing commercial space sector, would not only foster economic growth and innovation (particularly in the area of space science and technology capacity building which is of interest to the Canadian Space Agency), but would also keep our Canadian talent in the country and give them a forum to get together and come up with creative solutions. Will the Mars Rover Invigorate US & Canadian Space Budgets? An example of how closely Canadian technology and expertise is embedded into the Mars Science Laboratory (MSL) mission is provided by the August 11th, 2012 post on the Space.com website titled "NASA Rover's New Red Planet Address: Yellowknife, Mars." The article quotes Curiosity chief scientist John Grotzinger as stating the the MSL site was named in tribute to the capital of Canada's Northwest Territories, a city that has long served as the jumping-off point for geologists interested in studying North America's oldest rocks. Canadian built technology aboard Curiosity includes the Alpha Particle X-Ray Spectrometer ( developed by a team of Canadian researchers including Ralf Gellert at the University of Guelph and others from the University of New Brunswick Planetary and Space Science Centre, the University of Western Ontario Centre for Planetary Science and Exploration and others under the direction of prime contractor MacDonald Dettwiler) plus the image sensors for the various navigation and hazard avoidance cameras (which were built in the Teledyne DALSA semiconductor foundry in Bromont Quebec). 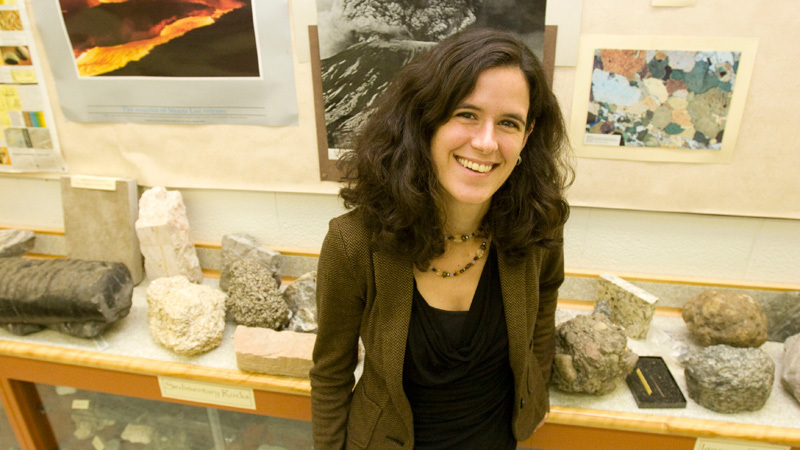 Brock University scientist Mariek Schmidt, who is part of the team working on the latest NASA Mars mission. As well, according to the August 11th, 2012 Toronto Post article "Can humans live on Mars? Canadian scientists looking for the answer," at least three Canadian scientists will be joining a team of 29 at NASA’s Jet Propulsion Laboratories, starting in September to begin sifting through the data being provided by the rover. Any connection to the successful and publicly popular American Mars rover should reasonably be expected to boost the fortunes of the embattled Canadian Space Agency (CSA) and the space industry in general. NASA’s recent successes, remarkable as they are, don’t change the fiscal climate that is compelling President Barack Obama and Congress to constrain the size of the federal government. If lawmakers are unable to agree on a deal to reduce the deficit cut at least $1.2 trillion over 10 years, automatic spending cuts at almost every federal program will take effect in January. As outlined in the February 25th, 2012 post on the Spacepolicyonline.com website "Mars Shaping Up as NASA Budget Battleground" the FY2013 NASA budget includes a 20% decrease in the planetary exploration budget, which has forced NASA to withdraw from a series of planned Mars missions with the European Space Agency (ESA) that were intended to lead eventually to returning a sample of Mars to Earth. Although not identical, a similar situation prevails in Canada, where the current Conservative government under Prime Minister Stephen Harper remains committed to a series of long-term austerity measures and federal cutbacks (as outlined in the March 29th, 2012 Conference Board of Canada's federal budget analysis) which are designed to balance the federal budget by 2014-2015. According to the CSA 2012 - 2013 Report on Plans and Priorities, the overall CSA budget will decrease from $388 million CDN in 2012 - 2013 to $289.1 million CDN in 2014 - 2015 with the budget for space exploration (a bucket which includes both manned and unmanned projects like the MSL) decreasing from $151.0 million CDN in 2012 - 2013 to $93.0 million CDN in 2014 - 2015. Oddly enough, the report indicates that CSA salaries (expressed in terms of FTE's or full time equivalents) will remain at exactly the same level (687 FTE) during the entire three year period covered by the report. 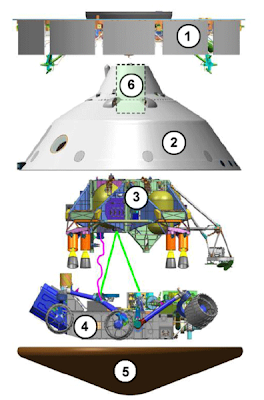 Diagram of the MSL spacecraft: 1 - Cruise stage; 2 - Backshell; 3 - Descent stage (the "Sky crane"); 4 - Curiosity rover; 5 - Heat shield (4.5 m diameter); 6 - Parachute. From wikipedia. According to the March 1st, 2012 Spaceref.com article "GAO Summary: Cost Overruns, Schedule Delays, Ongoing Technical Problems With Mars Science Laboratory" which referenced excerpts from the March 1st, 2012 "NASA: Assessments of Selected Large-Scale Projects" report (GAO-12-207SP), the overall cost of the MSL mission is approximately $2.5 billion USD and the project costs have increased "$881 million since its original baseline in 2008, which includes an 84 percent increase in development costs." All of which suggests that MSL is not a paragon of fiscal responsibility and its success will not likely lead to calls for increased funding for space activities any time soon.